Pune to Lonavala cab pune to lonavala taxi car rental hire service. Book a Taxi from our online Pune to Lonavala car rental booking portal and get best deal for one way or round trip with Ontime Cabs. Our rent a car service will conveniently pick you up from any part of city, Hotels, Pune Airport or your home to the destination you are planning to go from Pune. We assured you to give you best car rental solution for your travelling need at economical taxi fare. Take advantage of Pune car rental services for reach comfortable to Lonavala, you may also avail cab services from Mumbai to Lonavala. Ontime Cabs is well known in the industry for its prompt, reliable, economical and safe Taxi services. You can plan our car rental service for your one way drop, round trip, outstation trip, full day package and Airport pick up drop facility by booking a taxi or car with Ontime Cabs through our online booking portal or you can do a call on +91 9673221188 or visit www.ontimecabs.in .The online services are available 24 × 7. Approx. distance between Pune and Lonavala is 75 Kms. Journey time would be approximately 2 hrs. You can get more information like travel directions and road map from our Pune to Lonavala distance page. Planning to go to Lonavala from Pune Airport? Ontime Cabs provides taxi at most economical fare. If you are landing at Pune Airport from any part of the country, or city for that matter, book Pune Lonavala cabs for a hassle-free journey. Ontime Cabs (Taxi and Car Rental) believe that your visit to the India must be a joyful and price effective one. Lonavala is a famous holiday hill station and honeymoon spot in the Maharashtra. The beauty of the place is in its calm and beautiful natural environment. With wonderful springs, streams and waterfalls, Lonavala offers a perfect holiday getaway. 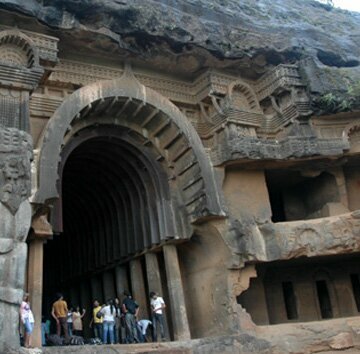 For more info log in places to visit in Lonavala page. A regular visit to our site would inform you about the new schemes and discount offers that we offer for our valued customers. This will help you to save time and money. It would make the task of planning a trip, booking a cab and travelling a hassle free journey. Besides, the travel by cabs from Pune to Lonavala will help you to experience the beauty of the place in a much better way.